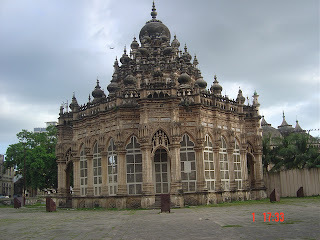 Mahabat ka Maqbara- India has a second TAJ. 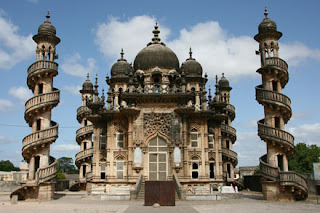 Also known as Bahauddin Makbara, mausoleum of the Wazir of Junagadh, this monument is mostly in tatters instead of getting a place in history. Even though it is protected by the ASI the story of this monument is untold. One should not miss this monument when they visit the Sasan- Gir Wild animal reserve. Situated in the middle of the city next to a historical mosque, this monument has extremely intricate carvings and numerous spellbinding mini minarets and a tribute to the architectural beauty of that time. The yellow mausoleum, Mahabat Maqbara, Junagadh, is a masterpiece of it own kind. The uniqueness of the affluence of silver at the portals teemed with intricate carvings and the winding staircase encircling the four minarets attract a lot of tourists to its site. The onion shaped dome also adds to the entire beauty of the spectacle. A fusion of Indo-Islamic architecture coupled with Gothic art form , the Mahabat Maqbara, Junagadh, emits the sense of secularism going beyond petty religious egos and reaching new heights of equality and exchange of respective cultures. 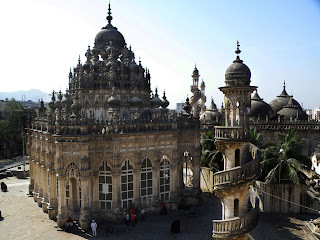 On one side of the mausoleum is the Jami Masjid and the Vazir's maqbara on the other. 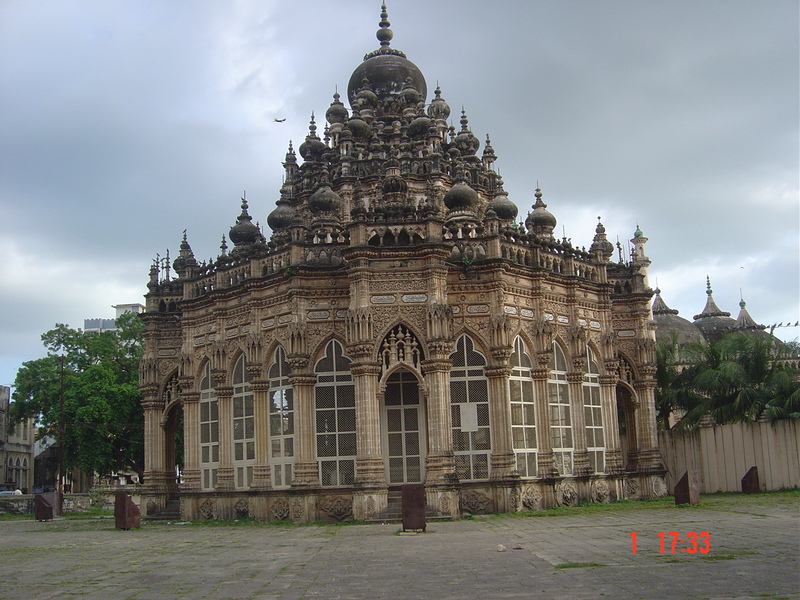 The Mahabat Maqbara, Junagadh is generally kept under lock and key, but can be glimpsed into by obtaining the keys from the mosque situated beside the mausoleum. The photos don't do enough justice to the piece of art and needs to be visited in person. Though blackened due to lack of care, the monument can still hold its own against the Taj Mahal. Literally. The grilles around the main tomb has been broken and children play cricket in the foreground. Being the middle of the city, tourists are disturbed by noise. Also much of the steps around the minarets have broken down. One can still go on top of the two minarets. Estimated time needed- 2 hours. such a beautiful piece of architecture and instead of deserving a place in history, it is sad and indeed painful to see it in tatters...the same goes for the uperkot fort in junagadh with the famous adi-kadi vav(step-well) and the nav-ghan kuvo(well)...both of them are absolutely remarkable but chronically neglected..